The Terrapin X has maximum range finding capabilities of 3280 yards, which roughly works out to 1.86 miles! The accuracy factor of the Terrapin X is only ± 5 meters past 2000 meters (5.46 yd. at 2187 yd. ); this is made possible by its low beam divergence of 1.2 x .5 mrad. When you combine the rangefinder’s accuracy with the built in slope, equivalent horizontal range, and azimuth measurements; you can feel secure in taking that perfect shot even at extreme distances and uneven terrains. The Terrapin X displays units in meters or yards based on your preference. The monoscope design paired with the device’s Scan mode allows you quickly identify your target and then measure your distance from the target—with accurate measurements displayed in less than one half of a second. 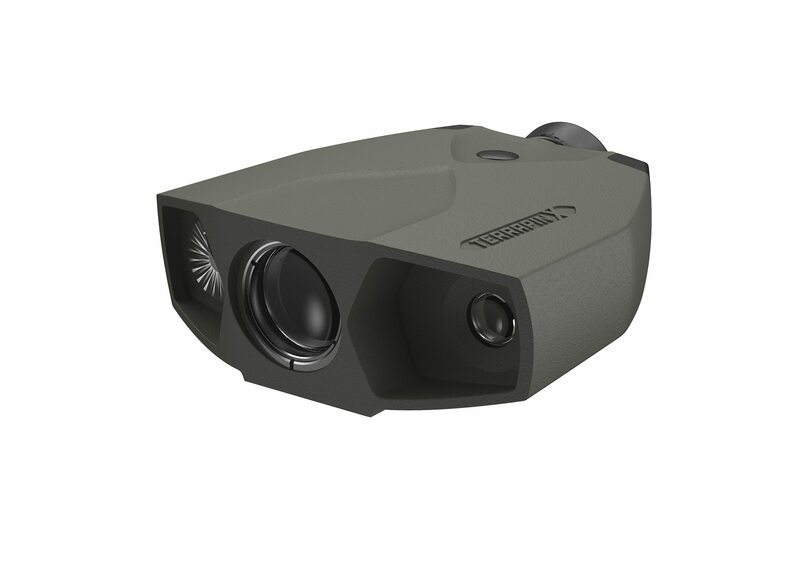 Unlike many of its competitors in the compact rangefinder market, the Terrapin X has been designed to be incredible rugged and durable. The entire outer shell of the rangefinder is a thick grippy shock resistant rubber that will ensure that small drops and water won’t affect the functionality of the Terrapin X. The design of the rangefinder ensures extra protection for the laser, battery, and objective lens by deeply recessing the components into the body of the Terrapin X. The housing of the Terrapin X is made from Ryton®, a material designed to rigidly hold electronic components as well as protect them from extreme temperatures and corrosive materials. When it comes to durability, Safran Victronix has truly set the standard with the Terrapin X. The Terrapin X was developed by Safran Vectronix in Switzerland to the same high standards as all of their battlefield proven range finders. The goal was clear from the beginning: to offer the serious long range shooter and long range hunter the best compact laser range finder on the market at reasonable civilian market price. In order to achieve this Safran teamed up with Leica Sports Optics, benefiting from Leica’s manufacturing capabilities and from the use of selected common standard components without compromising the DNA of Safran Vectronix in any way. Distinctive differences in vital hardware components and in the implemented software culminate in the most reliable and longest ranging eye safe laser range finder commercially available: the Safran Vectronix Terrapin X. Ranges 3000 meters and beyond through precision laser technology – class I eye-safe.